Tonight I’m going to demonstrate my version of an interesting technique now I’ve seen on a few sites - the live handling of email verification. I don’t think that really describes the issue well, but let try to explain what I’m talking about to see if it makes more sense. 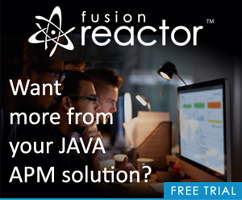 Imagine a simple registration form that asks for a few details including an email address. 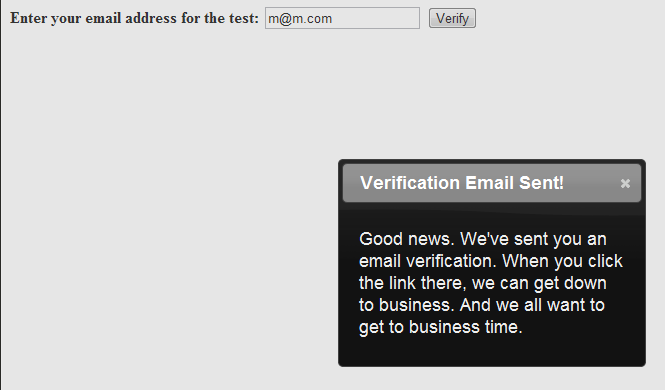 If you enter a good email address, we can fire off the email verification system via an Ajax operation. Now here comes the cool part. Clicking the link opens up a new tab with a simple verification message, but the original tab automatically notices this. Without any action on the user’s part, the page just magically knows that the verification is done. It's a cool technique and one I wanted to build myself. Here's what I came up with. The front end isn't terribly big so I'll include the entire template. You can see two main functions in play here. The click handler for btnSubmit handles click actions on the button. 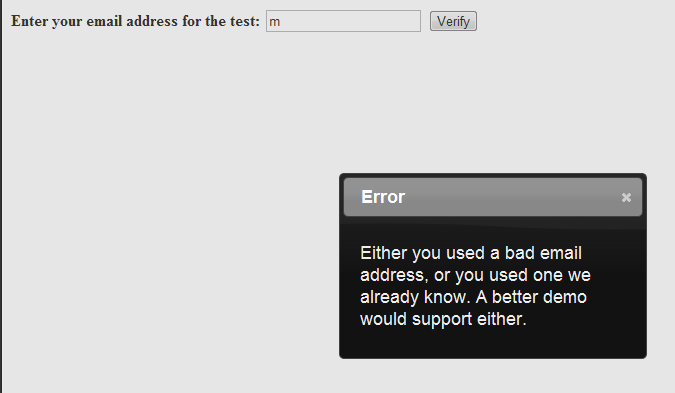 It's going to send the email address to the server to either report an error or kick off the verification process. Both of these are displayed to the user using jQuery UI dialogs. Once the verification process is started, note we then begin an interval that runs checkVerification. 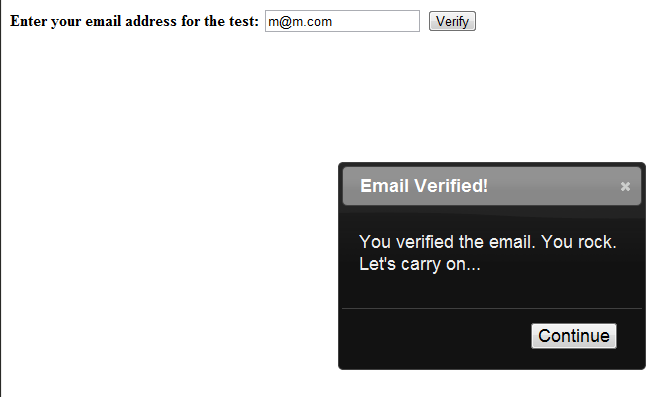 This performs an Ajax request every second to ask the server if we've verified the email address. If so, we open up a dialog to tell the user and even provide a button to take them to the next step. The back end for this code is also a bit simpler, but mostly because I faked it. So for example, here is my service.cfc. As you can see, I'm not doing any real database calls but instead just assume everything is kosher. The checkVerificationStatus method is just checking an Application scoped variable. This is set via the verify.cfm button in verify.cfm. Again - this is all fake. You would have a bit more code on your server to really make use of this technique, but the front end works pretty cool. In my testing it was so quick I had to move the tab to another monitor so I could see it happen. I've included a zip of the entire folder, but won't be setting up a live demo as I don't want folks to use it for spamming. Any comments on this technique?